Seoul (AFP) – South Korea’s main international gateway Incheon airport opened its second terminal on Thursday, significantly increasing its capacity three weeks before the start of the Winter Olympics, airport authorities said. More than 300,000 tourists are expected to enter the country through Incheon during next month’s Games and the new terminal will allow 18 million more passengers to pass through the Seoul-area hub each year. A high-speed railway will connect the terminal to Pyeongchang, where the sporting extravaganza is set to take place on February 9-25. “I think this new terminal is going to be a proud symbol for this country”, said 30-year-old Chung Yu-Jeong, the first passenger to depart from the terminal. Many other Olympics and major sporting events have had trouble preparing infrastructure, with dashes to complete stadiums and other facilities in time, but in South Korea the process has been highly competent. Last year 62 million passengers and 2.9 million tonnes of cargo passed through Incheon’s existing terminal, making it one of the world’s 20 busiest airports. It took nine years to build the new terminal, the airport’s first major expansion since it opened in March 2001, at a cost of 4.9 trillion won ($4.6 billion). 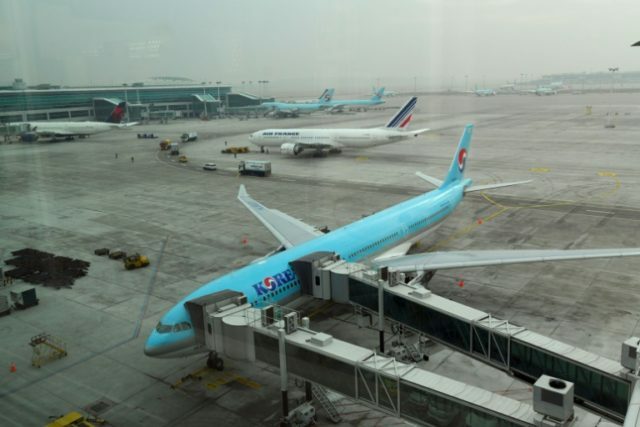 It houses four airlines — South Korea’s flag carrier Korean Air, Air France, Delta, and KLM Royal Dutch Airlines.